How dos it compare with the $25 AN8008? I wonder if the relay behaves like the Gossen. If it changes stated from an external source does the meter let you know? The Gossen does not have feedback to detect it so in the voltage mode, if it changes you have no idea. The meter could have several hundred volts across it and you would have no idea. A really poor design IMO. Maybe this cheap meter does something right. The Ultra changing states with a hanger..
As for the meter, I have had plenty of problems with the rotary switch on meters used in the field. A bit of dust gets inside and the switch becomes intermittent until the meter is disassembled and cleaned. A pushbutton control or even a slide/rocker switch can be more robust with less to go wrong. Or even a dedicated low voltage socket like what the Mooshimeter has. The display is a nice idea with a big flaw. I have seen a LCD that was black on white with ambient light but white on black with backlight. Any reason they couldn't have used that? Aside from the display, if they add power measurement and Bluetooth, it can very well become a contender for top pick of the budget meters. That's why reviews like yours are important. I was about to get an Gossen Ultra, but then this potentially dangerous bug made me gave up this idea. I ended up keeping with traditional brands handheld DMMs plus a real 6.5-dgt bench DMM. No, the relay is not mu metal shielded. I wonder if this meter will still work properly when powered at 3.6 volt to simulate using lithium batteries, I remember the Brymen BM235 didn't like the higher voltage lithium batteries and perhaps these are similar, certainly another thing to test. Is this Meter the first legit use for Batteriser? Came here to say this too. Batteroo sponsored this meter perhaps? Like this is the perfect example where batterizer would be actually useful. @Dave: You zoomed right in on the voltage reference and still didn't notice/comment on how ridiculously bad the soldering was on that part? I wonder if the relay behaves like the Gossen. If it changes stated from an external source does the meter let you know? The Gossen does not have feedback to detect it so in the voltage mode, if it changes you have no idea. Is it as dangerous as the Gossen? b) The ANENG relay doesn't have any effect on the main voltage ranges, ie. It's not going to read 23V instead of 230V (or whatever it was the Gossen read when the relay was out of sync). Dave you can fix that thingy: flip the polarizer and disconnect the backlight led. I ended up using Netic on the Ultra. Of course, the Gossen was certified to be safe. In this case, I think the standards are lacking. I don't think it's as dangerous as the Gossen. The ANENG seems to set the relay state more often and the ANENG relay doesn't have any effect on the main voltage ranges, ie. It's not going to read 23V instead of 230V (or whatever it was the Gossen read when the relay was out of sync). There you are, reading your 600V 100Amp power supply... all is well.. The meter comes too close to the magnetic hanger. What's this 600V CAT III marked meter do? It's not like you rotated a switch. This meter may give you some sort of visual that the relay changed state, making it safer. The free Harbor Freight meters are now derated to 250V. At least they were smart enough not to share the current input with the voltage input this time. Still, it does need to handle 1000V plus margins across the open contacts. Easy enough to try. There is basically no effect on electrical safety of the meter itself under normal use. The lack of correct display would be another issue. This is common for hand soldered through hole parts, the solder didn't flow through from the bottom. It's not generally a problem, just inconsistency in the hand soldering. The bottom was soldered fine. I can send you some good quality adhesive polarizing film if you have none. Can't you peel off the one on the display? Put a lipo pack in, and perhaps a Qi charge coil (likely easier than any other safe option) and you might actually have a really nice combo. Although that said, the only meter I've had with rechargeables was one of the Agilent ones where they tried to use a rechargeable 9v NIMH, it was always dead when I wanted it, even after only a week or two sitting unused after charging so I swapped in a primary cell. A one cell lithium is actually 4.2V at full charge, might be too much if it runs a 3.3V microcontroller directly from the batteries. LiFePO4 would be near perfect with a voltage range that pretty much exactly coincides with that of 3.3V logic. Seriously, if your meter uses 16mA, just place a boost converter on the input. I like using Eneloops, and hate 9V batteries. But this one is just stupid, it wouldn't even turn on with those. The VA display could mean Vertical Aligment. But I still think the UT210e is a better second meter. 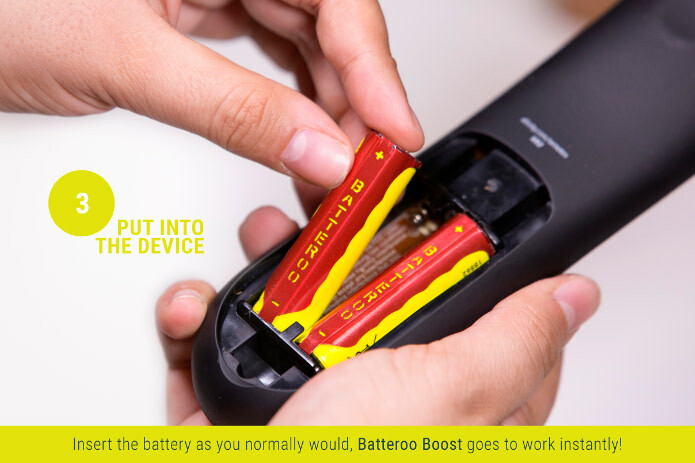 Do you have any Batteroos with contacts still attached to them? How about a real-life test? Maybe two wrongs can make a right? Sush... He is still in denial that he needs glasses. Mod the meter by adding a Joule thief? You called the fuses inside the meter HRC. They look like regular ceramic body fuses to me, not likely to survive a couple of kA fault currents through them. Do they advertise them as HRC? "High" is a relative term but I thought all ceramic fuses were "HRC" type. Edit: Make that "most". You'd have to be a total cheapskate not to put some sand in them but it has been known to happen. The point is that they don't need to be fluke-size to be HRC, ceramic fuses with sand in them can be small. Edit: There's a video of him blowing it. It's only a 35A fuse. How does a fuse like that make sense? Surely you'd want bolts to attach a fuse that big, not a spring clip fuse holder. Lol, yes, funnily enough this is the perfect target for a batterizer. I'm sure they still make clones in China. As I have mentioned to you before, they very well could be ceramic body non-HRC fuse. Dave would have had to take one apart to know for sure if they were at least filled. Welcome to the fifties Mr. Jones. As I have mentioned to you before, they very well could be ceramic body non-HRC fuse. I'd insert something like "mass produced 6x25 HRC fuses are very common, there's really no need to be so cheap as to not put sand in them in a $40 meter" but I know you too well for that. Dave would have had to take one apart to know for sure if they were at least filled. It's the only way to be 100% sure. For the fuses and other choices, I would assume its to maximize their profits. What do a few drops of gasoline do the screen? Melt like the other ANENGs? Well I guess there are two ways to look at this. Electrically it's fine the way it is. But I was taught that IEC standards dictate that on a metallized through hole solder joint the solder has to be visible on both sides of the PCB. I can try to look it up next week. And all-though I'm no expert at this, I can imagine that a joint like this will give extra stress on the thin metallisation of the hole due to heat and vibration. And it certainly helps against cracked solder joints to have the solder all the way through. Adding insult to injury for this meter, the "bargraph" only seems to have 20 segments, with 5 stripes/segment, but it is hard to know for sure from Dave's video, by lack of a suitable input signal. I really do like the push button idea, but pushing a button 5x to rotate between functions makes it a lot less appealing. The always on backlight, especially in combination with the fading display as soon as the batteries start to loose some charge make this meter a complete lemon. It might be usable if the polarizer can be easily reversed and the backlight disabled, but why bother? I do like the AN8009 though, very similar to the AN8008, but with N.C.V instead of the pulse output and it has temperature measurement (only 1deg. Celcius resolution, even though this meter can has a 1uV resolution and has plenty of room for at least an extra digit for temperature. (K thermocouple = 41mV/C.)). For Electronics use I actually prefer the external shunt, because you can just leave it in the circuit and use the multimeter for other measurements without interrupting the Current. Yep. I'm disappointed Dave didn't connect a potentiometer to it and give it a workout. I guess it doesn't matter though, there's plenty of other reasons not to buy one. So we are gonna really milk the whole "NOW IN 4K FOUR KAY FOUR KAY!!!!" thing are we! ?